São Paulo, with its 110 museums, is the city with the largest number of cultural options in Latin America. The different places have a wide array of items, which range from classical works of art and art exhibitions to unusual catalogs. 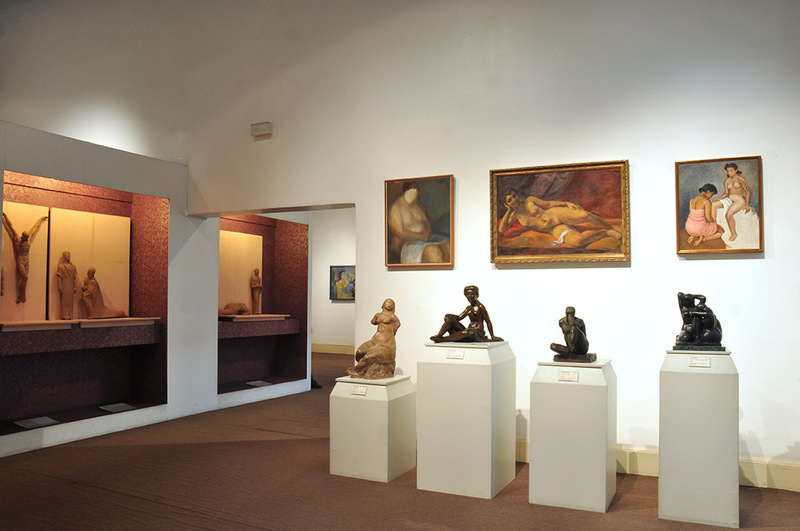 These facilities may take you back in time through art history, and show you curiosities about the various objects in the city. 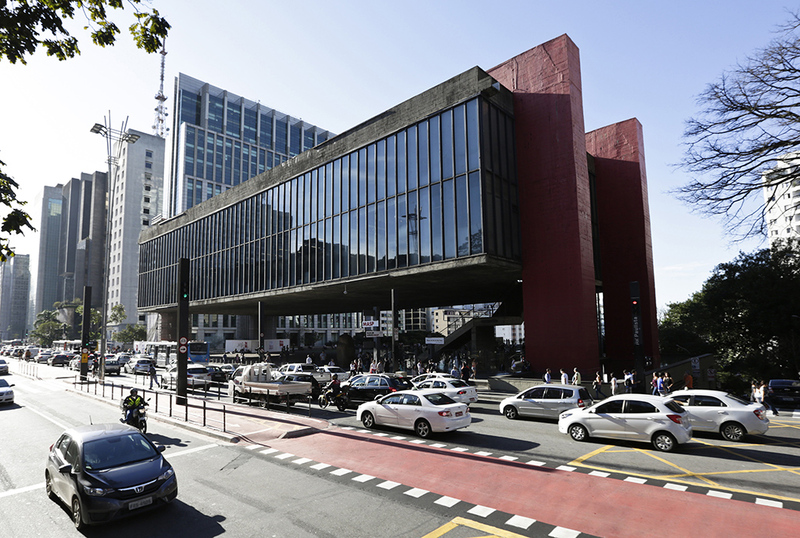 Museu de Arte de São Paulo Assis Chateaubriand (Masp – Assis Chateaubriand São Paulo Museum of Art) is one of the most visited tourist attractions in São Paulo state capital. This place is known worldwide for holding around eight thousand items, which include works by important artists, such as Portinari, Di Cavalcanti, Rafael, Botticelli, Renoir, Monet, Picasso, Van Gogh, and many others), in a building in a modern architecture style. The place also holds temporary exhibits and has studios, a library, a picture library, and auditoriums, where plays and activities are performed according to the museum’s annual schedule. Museu de Arte Contemporânea (MAC – Contemporary Art Museum) houses items by Modigliani, Pablo Picasso, Alexander Calder, Tarsila do Amaral, Anita Malfatti, and many others. 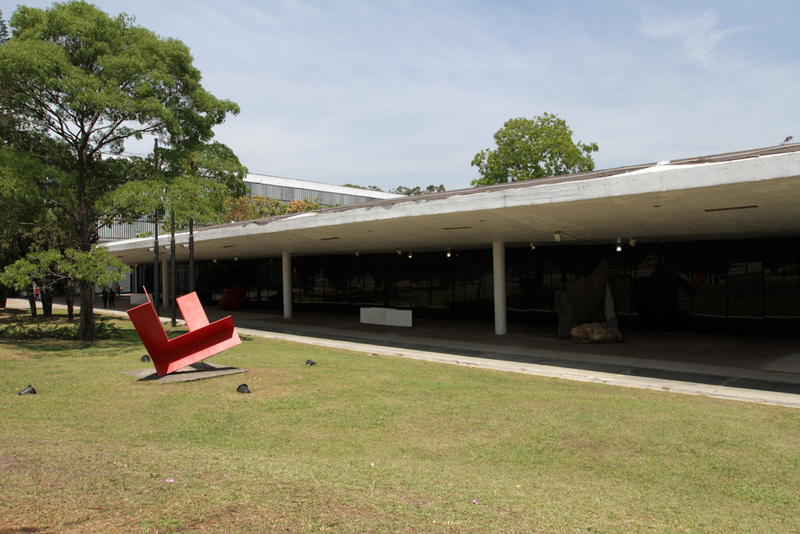 Having already celebrated its 50th anniversary in 2013, the museum is administered by Universidade de São Paulo (USP). Besides exhibits, the places hold courses, lectures, and other activities. Modern Art Museum. Photograph by José Cordeiro/ SPTuris. Part of MAC’s catalog came from the former Museum of Modern Art (MAM). MAM, which was founded in 1948, has over 5000 items in its catalog. The museum collection portrays moments from modern and contemporary art, especially by Brazilian artists. Among the spaces are a library and an outdoor sculpture garden. Dating back from 1895, the building designed by Ramos de Azevedo in Luz Square shelters Pinacoteca do Estado (State Art Gallery). Founded in 1905, this is the oldest art museum in São Paulo state capital. Its ten rooms hold its collection of over one hundred thousand items. The museum focus on Brazilian art from the 19th century on. Besides these, other museums in the city focus on funny and interesting subjects. Even some paulistanos (people born in São Paulo city) known nothing about their existence. Memorial da Inclusão (Inclusion Museum) has photographs, documents, audio and video recordings that tell the story of disabled people. The museum includes a Sala Preparatória dos Sentidos (Preparatory Room for the Senses) as one of its main attractions. It invites visitors to test their senses with textures, temperature changes, sounds, and smells. The place also has Sound Tubes installed, which are used to provide audio descriptions of the panels. Open in December 1999, the Museu da Abadia São Geraldo (Saint Gerald’s Abbey Museum) focuses on preserving and providing the public with information about the history of the Hungarian congregation of the Order of Saint Benedict, in Brazil since the 1930s. The museum catalog includes art items, popular Hungarian culture objects, documents, crafts, and many other items. Museu Histórico da Imigração Japonesa (Historical Japanese Immigration Museum) has over 97000 items that belonged to Japanese immigrants, such as documents, photographs, newspapers, microfilms, books, records, paintings, and kimonos, which tell the story of Japanese immigrants in Brazil. Museu da Tecnologia. Photograph: advertisement material. 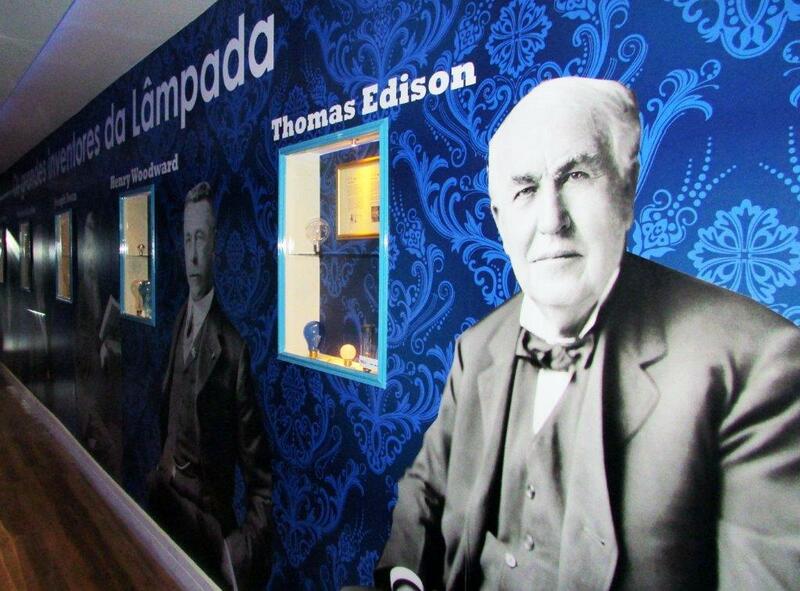 One of the most recent museums in the city, Museu da Lâmpada (Lamp Museum), which was open in 2012, has items that tell the history of lamps. The museum catalog has research reports, materials, and equipment that represent the timeline since the discovery of fire and the invention of the light bulb to the modern lamps used nowadays. Following the motto that says “every human being, whether anonymous or famous, has the right to make their history and social memory eternal”, Museu da Pessoa (People Museum) records, preserves, and transforms people’s life histories in information. Photographs, video and audio recordings are available. You need to schedule in advance in order to visit. Museu da Voz (Museum of the Voice) gathers a collection of over 5000 voices and around 25000 records and CDs. The catalog includes old Brazilian songs, poems by Carlos Drummond de Andrade and Vinicius de Moraes, as well as audio recording and narrated plays, such as “Eles Não Usam Black-Tie” (“They Don’t Wear Black Tie”) by Gianfrancesco Guarnieri. You can buy a CD with your selection of materials during your visit. Part of the catalog is also available on Saturdays, in Benedito Calixto square. Address: Avenida Paulista, 1578 – Bela Vista – São Paulo (near Trianon-Masp metro station). Working hours: Tuesday through Sunday, from 10 am to 6 pm (tickets available until 5:30 pm). Thursdays from 10 am to 8 pm (tickets available until 7:30 pm). Working Hours: Tuesdays from 10 am to 9 pm. Wednesday through Sunday, from 10 am to 6 pm. Working hours: Tuesday through Sunday – holidays included – from 10 am to 6 pm (the ticket office will close 30 minutes prior to the closing time). Address: Parque Ibirapuera – Portão 3/Gate 3. Phone: +55 (11) 5085-1300/ 5549-2342. +55 (11) 5085-1313 (group reservations). Working hours: Tuesday through Sunday, from 10 am to 6 pm. Address: Praça da Luz, 2 – Luz – Centro (Luz metro station). Working hours: Monday through Friday from 10 am to 5 pm. Address: Avenida Auro Soares de Moura Andrade, 564, portão 10/gate 10. Address: Rua Santo Américo, 357 – Jardim Colombo – São Paulo. Phone: +55 (11) 3742 1888. Working hours: Tuesday through Sunday, from 1:30 pm to 5:30 pm. Address: Rua São Joaquim, 381 – Liberdade – São Paulo. Working hours: Monday through Friday from 9 am to 6 pm. Address: Avenida João Pedro Cardoso, 574 – Campo Belo – São Paulo. Address: Rua Natingui, 1100 – Vila Madalena – São Paulo. Address: Praça Benedito Calixto, s/nº – stand – Pinheiros – São Paulo.